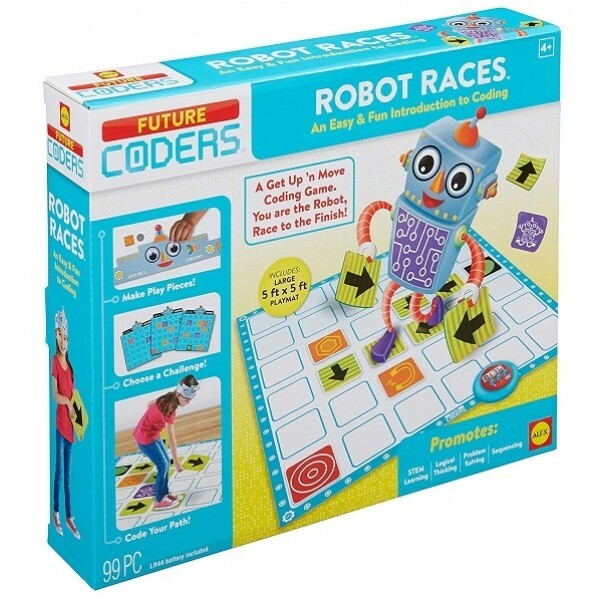 ALEX Toys Future Coders Robot Races lets you decorate your own robot hat with stickers and become the robot as you race around a track and solve challenges! Dance, spin and jump your way to the finish line, playing an active game that teaches early coding logic ideas by asking you to map your path from point A to point B. Choose a challenge card, then place direction tiles on the mat to map out your path. A digital timer adds to the frenetic fun as you race to the finishing square. 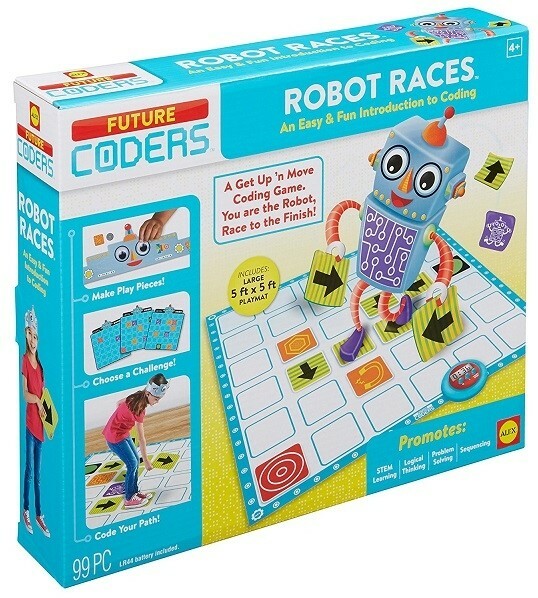 This game includes a 5 foot by 5 foot non-woven floor mat, 18 arrow tiles, 2 start/stop tiles, 6 obstacle tiles, 4 action tiles, a robot hat, 2 googly eyes, 20 level cards, 44 Stickers, a digital timer, and instructions.